At ACTIVE Network, we want you to be able to create fantastic applications with the ACTIVE Network APIs. At the same time, we don't want users to get confused about who is responsible for the data they are accessing, so we have some brand guidelines. - The ACTIVE and ReserveAmerica (Campground API) brands hold credibility in the mind of the customer. They serve as a seal of approval giving customers the confidence to transact through a trusted source. - As consumer utilities, ACTIVE.com® captures and records registration activity providing people with a record of their personal registration history if they need it at a future date and ReserveAmerica (Campground API) captures and - records campground, day use area and cabin reservations for customers while storing a record of their reservations. Transacting for an ACTIVE powered activity or ReserveAmerica (Campground API) powered campground tells your customer who they need to call if they need help. ACTIVE’s standard of excellence provides customers with 24/7 support 365 days a year and customized support is available for ReserveAmerica customers. "ACTIVE.com", "ACTIVE Network", "ACTIVE Access", and/or “ReserveAmerica” cannot be the first word in your application's name. It can be used in the name of your app, for instance “x for ACTIVE.com” or “x with ACTIVE Network”, "your ACTIVE Access", “x’s ReserveAmerica Manager”, etc. This makes it clearer that your application is from you and not from ACTIVE or ReserveAmerica (Campground API). Your application must feature the appropriate button and/or logo on every page or screen on which the ACTIVE Network API (activities, events, campgrounds, assets, etc) has a presence and adjacent to where the implementation appears in your UI. Attribution applies to both website and/or mobile app usage. - DO include proper attribution to ACTIVE API by reading our Brand Guidelines. - DO use a different key for each of your different applications (ie. iPhone vs. BlackBerry vs. Android vs. Web). - DO be creative and develop innovative applications. Inspire yourself with the App Gallery. - DON'T manipulate, modify or edit the data. - DON'T blur the line or otherwise confuse users about the differences between your brand and ACTIVE Network's brand, ReserveAmerica (Campground API), or other ACTIVE Network partner brands. - DON'T alter the ACTIVE Network brand in any way, or use non-approved creative assets. - We want to ensure a great customer experience. - We want things to work. - We want to honor our obligation to content makers. - We want to ensure the ACTIVE Network brand is used appropriately. 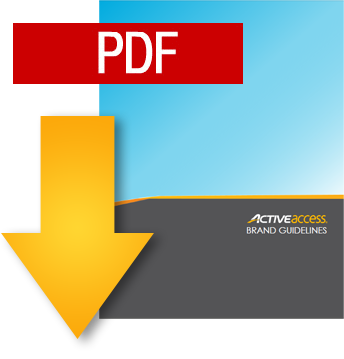 Download our full Branding Guidelines for implementation requirements and examples. Grab our logos and Brand Guide to follow our guidelines.